When you are beginning weight training, you need to start with a few simple steps to allow for your success. Many people start lifting with no idea of what to really do when they actually get into the gym. They’re so excited to get started that they tend to overdo it and do it incorrectly as well. …it all slows down your results. This is a step that you absolutely cannot forget if you want to lift heavy weights. Nobody can head into the gym, without a little bit of a warmup, and just lift incredibly heavy weights. It doesn’t take much to warmup but it can make all the difference. 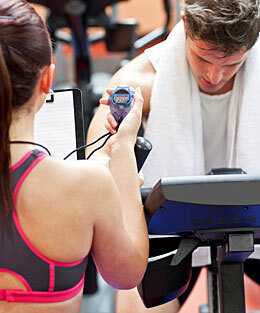 Getting on a treadmill or elliptical for 5-10 minutes. Performing a few light sets of one or two of the exercises you’re going to perform. When you’re beginning weight training you need to make sure that you breathe properly while lifting. Begin inhaling as your lower the barbell to your chest. Once it reaches your chest hold your breath for a short second to equalize pressure in your body and reverse the direction of the barbell. As soon as you reverse the direction of the barbell begin exhaling. By the time the barbell reaches the starting position you should have finished exhaling. Apply the same principles to any lift you perform. This is essential when beginning weight training. The first week you head to the gym you need to find a base level of strength. Choose the exercises you are going to perform for each workout. Perform a couple of very light sets to get your muscles warmed up. Once you’re warmed up add 5-10 pounds per set until you reach a level that is difficult to finish 8-12 repetitions at. This will be a good starting point for future workouts after you have finished warming up. Write down the exercises and amount of weight. Keep track from week to week to assess your strength gains and push yourself towards greater goals. This is a step that people like to forgo in order to try and look like they can lift a ton of weight. The truth is that everyone has to start from somewhere and there is no reason to overdo it from the start. Whenever you see someone beginning weight training and you seem them jerking their body left and right to put up some weight it’s a big no no. When you start off you need to lift weights that your muscles are able to handle without using body momentum. This will allow your muscles to be worked properly by going through the entire range of motion. If, for example, you’re performing a barbell curl and can only get halfway before leaning back and trying to swing the weight then it is too much weight. Lower the weight and perform the exercise correctly. You will see greater results by performing the exercise throughout the entire range of motion and with proper form. If you try to lift too heavy to start off and don’t use proper form you can end up putting yourself out of the gym for weeks with a needless injury. 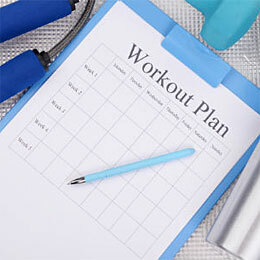 Starting off with full body workouts is a great way to get going when you are beginning weight training. Performing a full body workout three days a week will give you the most bang for your buck in terms of gaining some initial strength. Choose 8-12 total exercises for the entire body. Choose only 1-2 exercises per muscle group. Perform 3 sets of 8-12 repetitions for each exercise. Allow at least one day of rest between each workout. You could perform training splits where you only workout a muscle group or two each day but there are some problems with that when beginning weight training. You’re muscles aren’t ready for that much volume. Your muscles won’t have the endurance to finish the workouts. Your muscles will be sore for days after you workout. This will hinder any type of results you’re trying to achieve as you will be too sore to workout again. Performing some full body workouts will prevent this. You should be sore but not to the point where you’re unable lift weights again after a day or two of rest. Now this is absolutely the most important step when beginning weight training. Too many times you will see people going into the gym and working out for hours and hours every single day. You are not going to see the results you want and you won’t be able to give a maximal effort in the gym. Only during a recovery period will your muscles grow and become stronger. What happens is that placing an increased load or resistance on your muscles creates micro tears in your muscle fibers. In order for these fibers to repair themselves they need a certain amount of rest. Once they have had enough time to rest they will become bigger and stronger than before in order to compensate for that heavier load that was initially placed on them. If you keep working out every day they won’t have time to rebuild and become stronger. Your muscles will just keep breaking down and breaking down which will keep you from making any progress. Over time you will be able tell how often you can work out your muscles based on soreness. When you’re beginning weight training you should allow at least one day of rest between workouts. It is also best to get plenty of sleep to give you body plenty of time to recover so that you’re ready to hit the gym the next day. These tips will give your muscles the rest they need and will ensure that you’re able to get back into the gym to continue with your progress. Recovery is not something to be taken lightly and even the pros know that your muscles need their rest. When you’re beginning weight training following the steps above will allow you to achieve the results you desire. They seem like very simple things to do but they can make all the difference in the long run. Follow them and you won’t be disappointed.